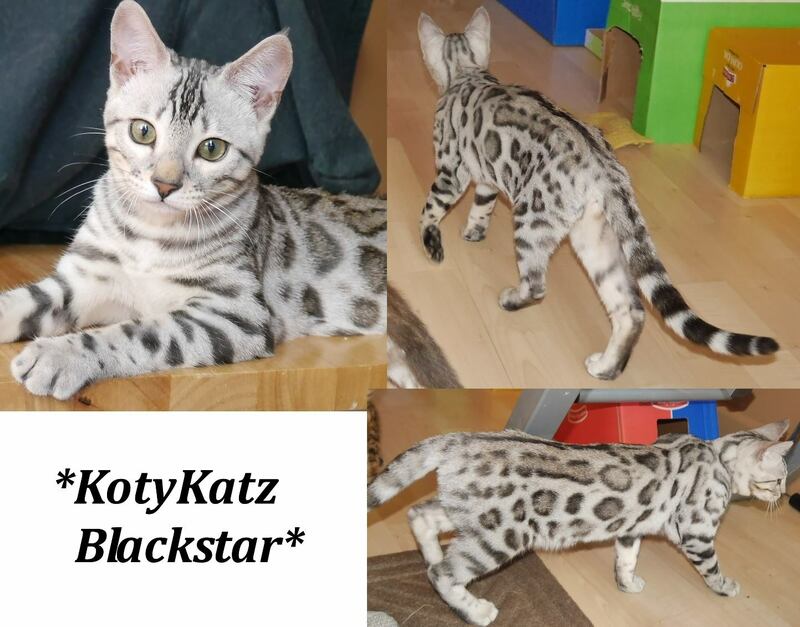 Daughter to Champion Poolside Rascal Cats of KotyKatz and Bengalscape Estonia of KotyKatz she is the combination of two genetically diverse pedigrees. 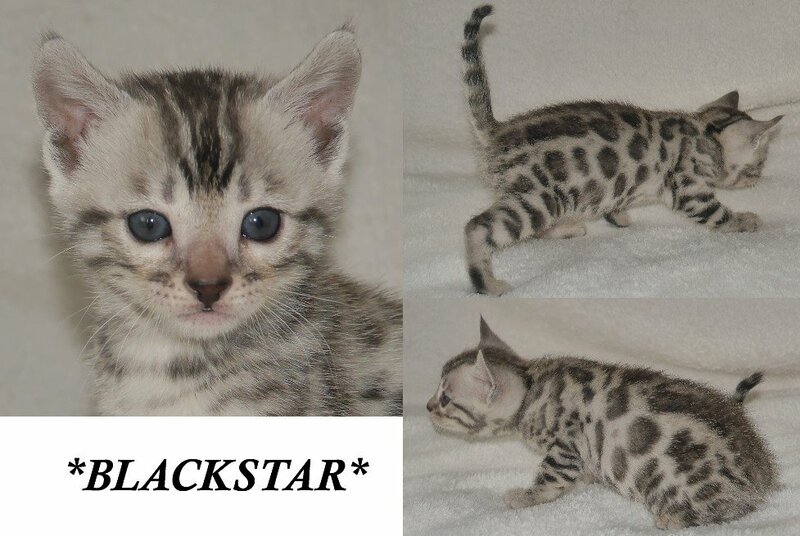 Blackstar is a silver Bengal with wonderful rosetting and contrast! So fun to look through her pictures to observe her development. Her litter with Oaklandhills Van Gogh produced two outstanding boys with similar appearance. We already can’t wait to see what is to come! 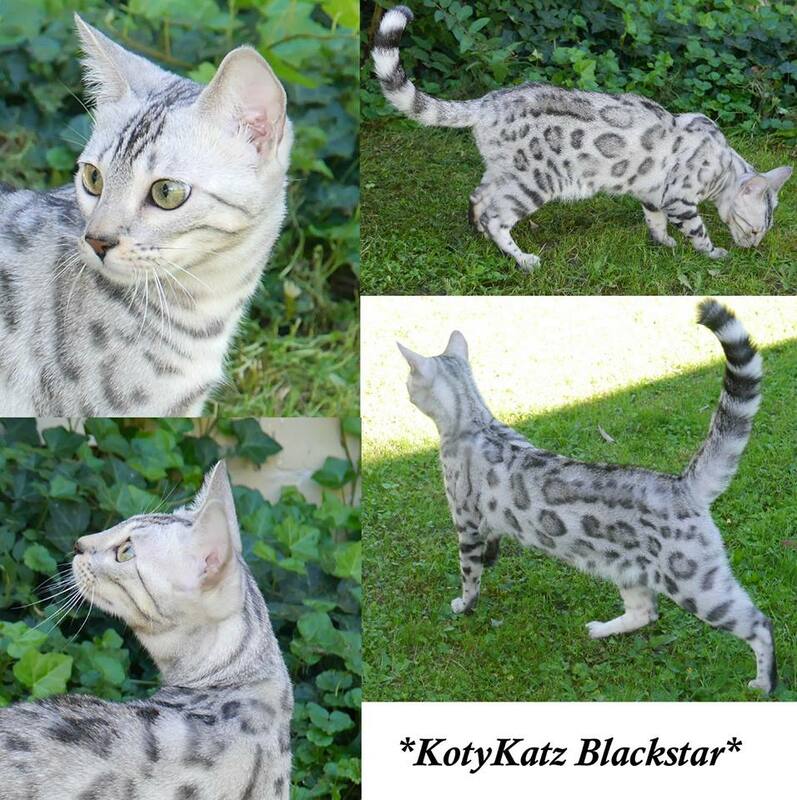 Blackstar has a super sweet personality as well, just like her mom Bengalscape Estonia of KotyKatz. You can see Blackstar’s pedigree, by clicking here. If you would like to see our available kittens or if you have any questions please feel free to contact me or join our notification list by clicking here. Ch. Poolside Rascal Cats of KotyKatz strikes again with another litter of gorgeous rosetted babies! Mom, Bengalscape Estonia of KotyKatz, has thrown in the right mix of genetics to produce 6 outstanding little Bengal kittens – three brown Bengal kittens and three silver Bengal kittens. Of the silver rosetted kittens we have this one female, Blackstar. This is our David Bowie tribute litter, remembering him with kitten names like Lazarus, China Doll, Ashes to Ashes, and Fame. This would be the twenty-fifth and final studio album to be released by David Bowie, on 8 January 2016. This album was also released on Bowie’s 69th birthday, and two days before his death. 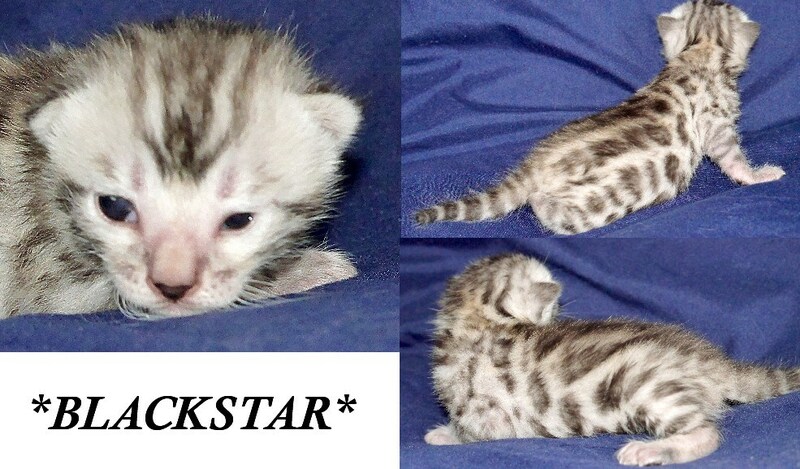 This entry was posted in Bengal Kitten Gallery, Gallery, Queens and tagged bengal kittens, Blackstar, David Bowie. Bookmark the permalink.